How difficult people think, what they fear, and why they act the way they do. How to change the destructive behavior of the tank...the know-it-all...the grenade...the whiner...and many more! 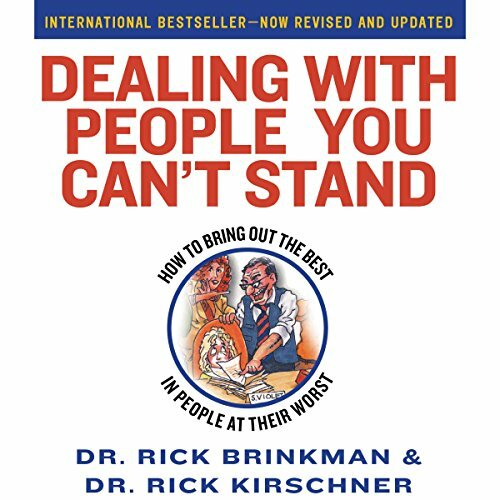 Updated and revised for the digital age, this new edition of Brinkman and Kirschner's bestselling guide, available in audio for the first time, shows readers how to successfully combat the whiners, grenades, tanks, snipers, close-talkers, pedants, and other rude, crude, and inconsiderate people who can ruin your day at work, in stores, on the street, in restaurants, at the movies, in waiting rooms, by fax, phone, and E-mail, and online.